Pledging never tasted so sweet! Find out more. Celebrate Freedom with Free Ice Cream! Just for knowing the Pledge. Every July at an ice cream shop near you! Find out more. 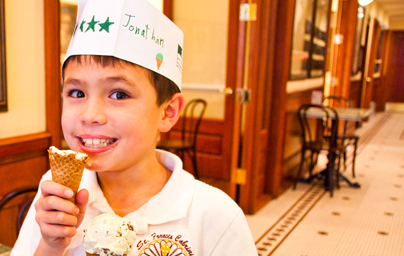 See where to Pledge for Ice Cream. Or nominate your local ice cream shop! Find out more. Want this in your community? 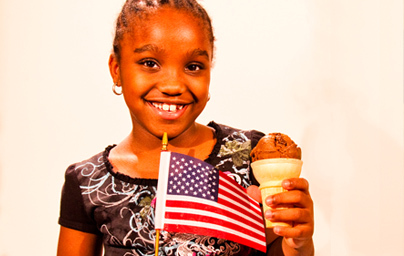 Starting every July 1st and running throughout “National Ice Cream Month”, the “I Pledge Project” rewards children across America for their patriotism by offering them free ice cream just for reciting the Pledge of Allegiance by memory. The event is free for both families and ice cream shops! To see if and when your local shop is holding over the event, click here or nominate your favorite ice cream shop here! OWN AN ICE CREAM SHOP? 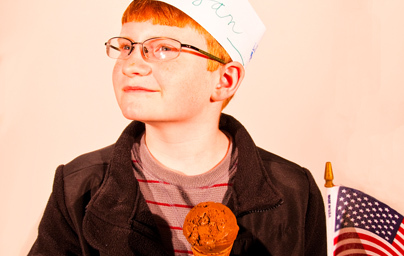 If you own an ice cream shop, click the link above and fill out the short, easy eForm and we will provide you with access to fully customizable promotional materials to host your own “I Pledge” event! We’ll also add your contact info and logo to our participation page right away! Friends of I Pledge have submitted some pretty amazing videos! From real local fireman and law enforcement heroes to the young leaders of tomorrow, see the “I Pledge Family” pledging in these great videos. Or, if you have I Pledge videos to share, click the link to the right! 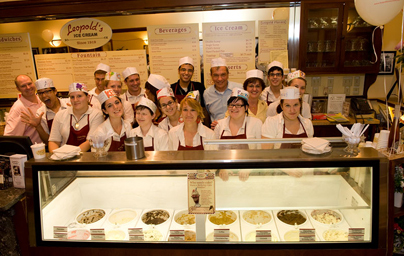 Stratton Leopold – successful producer of ice cream and Hollywood blockbusters – first started recruiting fellow ice cream shop owners across America to take part in the “I Pledge Project” campaign at the national level in an effort to promote patriotism amongst our youth. Have a YouTube video of yourself taking the Pledge of Allegiance? Send us the link and we may add it to our gallery! !